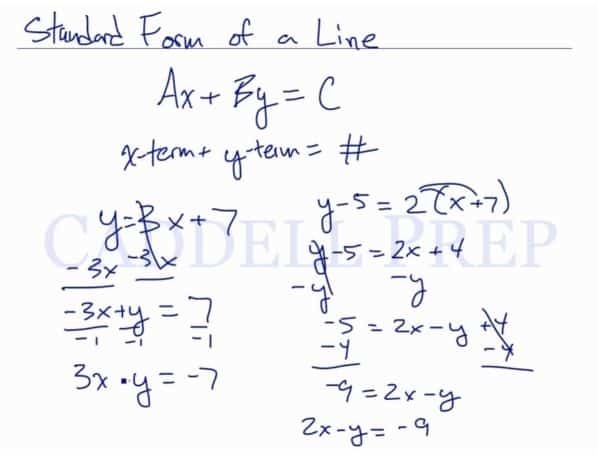 This video explains how to convert functions from slope-intercept form, and point-slope form, to the standard form of the equation of a line. where A, B, and C, are constants. Let’s bring all the variables to one side by subtracting on both sides. Just to recap it’s just .